At Hartbeeps we put every child at the heart of our magical, musical adventures. We offer original and super fun, developmental baby classes, toddler classes and pre-school classes, as well as educational sessions, stay & play with baby discos, and fabulous children's parties. All of our classes are set to a soundtrack of original songs, remixed nursery rhymes and lullabies. We take you and your little one on a sound journey and bring the story to life. Come and experience the amazing world of Hartbeeps with classes to complement and enhance every stage of your child's early years - from birth to school. 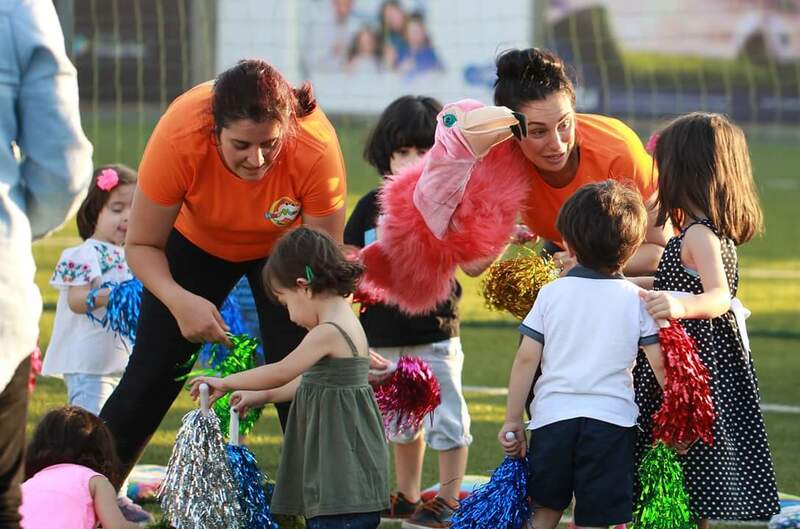 We work with pre-schools, kindergartens and baby rooms throughout Amman delivering our in-house nursery programmes. An engaging, development programme for the Early Years offering our magical sessions in-house at nursery and pre-school settings. The programme includes 35 minute highly interactive sessions, suitable for toddlers/pre-schoolers and also the baby rooms. Skilfully constructed to compliment the EYFS, providing particular focus in the area of Expressive Arts and Design (EAD).